you can ALWAYS get the Alexander Wang Rocco or Rockie bag for 15% off at Hampden Clothing with code GRECHEN15. Also check Forzieri for sale pieces & frequent codes! (11/19/2015) Use code FALLVIPSALE at Alexander Wang for 40% off select items. LOTS AND LOTS of rockie’s, minis, etc. on sale! (6/15/2015) Check out the Alexander Wang sale bags and shoes at SSENSE – the prices are amazing, and the selection still VERY GOOD. (5/26/2015) Alexander Wang bags on sale during the Barney’s Sale..
(5/18/2015) Use code VIPSALE2015 at Alexander Wang for up to 40% off select items during the private sale (I tried it on a few bags and it gets you 30% off. Still good…). (5/6/2015) Forzieri is offering 25% off orders over $395 with code MOM25 through 5/10. Check out the selection of Alexander Wang, including the Neoprene rocco!!! (4/9/2015) Shopbop is offering 25% off with code SPRING25 – alexander wang IS EXCLUDED!!!! (4/9/2015) Through 4/10 use code SPRINGFEST at Forzieri for 20% off your order over $275. (3/31/2015) Use code EASTERLX at Forzieri for 20% off orders over $275. They have the new “sneaker” collection available online now – along with more “classic” styles! (3/3/2015) Use code BIGEVENT15 for 25% off orders over $1,000 at Shopbop through 3/5, 20% off orders over $500 or 15% off orders over $250. 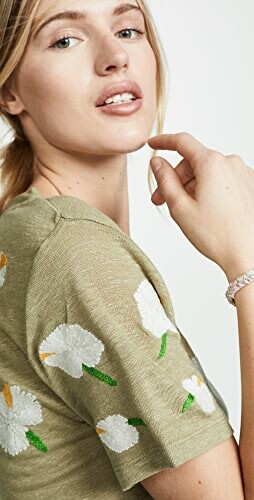 (2/13/2015) Otte NY is offering 20% off all orders (excluding rag & bone, acne, and isabel marant) with code 20KISSES through 2/14. See their selection of Alexander Wang. (12/17/2014) Use code AWANG at Azalea for 30% off ALL ALEXANDER WANG until 12/21. One code per user, no minimum purchase. (12/1/2014) Hampden Clothing is having an Alexander Wang rocco/rockie sale – all prices are marked, no additional coupons are valid. (11/25/2014) Use code GOBIG14 at Shopbop for 15% off orders over $250, 20% off orders over $500 or 25% off orders over $1000, NO BRAND EXCLUSIONS this time!! (11/24/2014) Happy (early) Black Friday 🙂 Use code GRECHEN25 at Azalea for 25% off your order – some restrictions apply, but it IS valid on Alexander Wang. (10/23/2014) Azalea’s code is back up!! Use code GRECHEN20 for 20% off your order. Restrictions apply!! (10/23/2014) Forzieri is offering 25% off with code FRIENDS25 (not valid on Michael Kors, VAlentino or MCM) – they do have a small selection of Alexander Wang bags in. (10/9/2014) The Bergdorf Goodman giftcard event is on: spend $500 get $100, spend $750 get $200 or spend $100 and get $300. Alexander Wang IS included. (9/29/2014) Alexander Wang just landed at the Outnet…some good bags, boots & shoes are on sale. (9/16/2014) Otte NY is offering 20% off their entire site (except acne, isabel marant and etoile) with code FALL20 through 9/21. Includes Alexander Wang, 3.1 Phillip Lim, Loeffler Randall…. (9/4/2014) Alexander Wang has landed at the Outnet – there are only a few bags, but the prices are pretty good…better shoes/boots!! (8/26/2014) Otte NY is offering 20% off all shoes & bags with code LABORDAY20 through 8/29. Includes Alexander Wang, 3.1 Phillip Lim, Jerome Dreyfuss…. (7/22/2014) use code x20july14 for an extra 20% off sale items at FarFetch – here’s the selection of Alexander Wang bags marked down – there’s a great selection and they ship internationally. (7/21/2014) Use code GRECHENROC at Hampden Clothing for 25% off all Alexander Wang ROCCO bags only through 7/27. (6/6/2014) Azalea has added lots of new Alexander Wang Rocco/Rockie bags including the Rocco with brass hardware, which hardly ever gets marked down! Use code GRECHEN25 for 25% off your first order at Azalea. (5/27/2014) A few bags are left at the Net-a-Porter Sale…and MORE bags left at the SSENSE sale. (5/20/2014) Azalea has added some new colors/styles to their Alexander Wang selection (including the inside out rockie in gunpowder and the royal blue rockie) – use code GRECHEN25 for 25% off your first order!! (4/16/2014) Use code GRECHEN15 at Hampden Clothing for 15% off new Alexander Wang Rockie & Rocco bags in AMAZINg spring colors!!! (4/10/2014) Azalea got a new shipment of the Alexander Wang rockie bag in black with rose gold studs – $637 after the GRECHEN25 code for 25% off. (2/25/2014) Use code BIGEVENT14 at Shopbop through 2/27 for up to 30% off your order. NO DESIGNERS are excluded!! (1/22/2014) Happy New Year!! 🙂 Hampden added lots of great new Spring Alexander Wang colors, and they’re all 15% off with code GRECHEN15. (12/2/2013) Forzieri is offering 25% off orders over $250 with code CYBER25 – they have one black rocco left, a diego and a few other Alexander Wang bags. (11/12/2013) I posted a video review of my own new Rockie bag (thanks to Azalea :)) – use code GRECHEN25 for 25% off!! (11/5/2013) select items are 30% off at Shopbop for three days (ends 11/7/2013), including a few Alexander Wang styles. The Alexander Wang Rocco in Ink is marked down to $647. (10/24/2013) Barney’s purple card event is here: get a $25 gift card for every $250 you spend. Ends 10/27. (10/21/2013) Azalea just added lots of new Rockies (and a few Roccos) to the site. Use code GRECHEN25 for 25% off your first order!! (9/10/2013) Hampden Clothing has a couple of Alexander Wang Roccos (Elephant suede and black with gold studs) & a Donna bag (Love the donna style!!) in stock. Please use code grechen20 for 20% off your order!! (8/27/2013) use code BS20 at Otte NY for an extra 20% off SHOES & HANDBAGS only (excluding isabel marant), they have the Rocco with rose gold studs, the Rocco with brass studs and the rockie with brass studs. expires 9/2. (8/20/2013) Hampden Clothing just got in some new Rocco bags : black with rose gold studs, black with gold studs and elephant (suede). (7/23/2013) Shopbop has a couple of Roccos on sale + an extra 25% off with code SALE25 through 7/24: Tan & Tangerine. (6/28/2013) 25% off is back at Azalea – they still have a black with brass rocco, as well as a pebbled tundra and soft oyster. (5/3/2013) starting now, and running through the end of May, use code grechen25 at Azalea for 25% off your order – includes AW roccos and rockies and their new selection of 3.1 Philip Lim bags!! (5/2/2013) Barney’s purple card event has started: for every $250 you spend, get $25 on a purple card. It’s not much off a Rocco bag, but it’s something!! Ends 5/5, valid on US purchases only. (4/26/2013) Through this weekend (expires 4/28), use code SPRINGFLING at Otte NY for 20% off your order; they still have a great selection of Alexander Wang bags in stock!! (4/4/2013) Azalea just added several more Rockies & Rocco bags; use code grechen20 for 20% off your FIRST order. (3/22/2013) Hampden Clothing just added a few Rocco bags online – use code grechen20 for 20% off! (3/18/2013) Otte NY is offering you early access to their spring fling sale with code SPRINGFLINGEA through 3/20 – get your Alexander Wang Rocco bag before anyone else!! (3/13/2013) Azalea SF added a couple of new Alexander Wang Rocco bags – one in soft tangerine and one in soft oyster, both with pale gold hardware (so beautiful!). Use code grechen20 for 20% off!! (2/25/2013) Use code SPRING at Bergdorf Goodman and get a $200 gift card for orders of $1000 or more. Valid on Alexander Wang handbags. Ends 2/27, also includes free shipping. (2/18/2013) Alexander Wang drops at the Outnet tomorrow at 11 AM EST – I’m not sure what bags will be on sale, and for how much, but they usually have a couple of roccos for under $500. You’ll just have to get there first to get your hands on one!! (1/8/2013) today and tomorrow (1/8-1/9) you can earn up to a $450 gift card with purchases at Saks. Certain designers are excluded, but Alexader Wang is NOT. (1/3/2013) Azalea SF has the black with black studs Rocco back in stock and you can use code grechen20 for an additional 20% off. Happy New Year! (12/3/2012) Saks sent me a 15% off coupon code I’m not going to use. It IS valid on Alexander Wang bags (I did a dry-run checkout ;)). If you’re interested and if you will definitely use it (it’s a one-time use code), please contact me and I’ll send it to you via email (it’s gone!). (12/3/2012) Alexander Wang still has a few bags on sale: Rocco in mercury is $612, Rocco in Cayenne is $612, and the Rockie in mustard suede is $508. (11/22/2012) SSENSE has marked down the dark purple and light gray roccos to $716, plus the mustard nubuck rockie and the gray rockie duffel to $580. also, check the black friday/cyber monday coupon codes page for more deals this weekend!! (10/17/2012) The Barney’s purple card event starts tomorrow (10/18) and runs through the 21st: receive a $25 gift card for each $250 you spend. (9/27/2012) Azalea just got in a few new Roccos and a Pelican satchel. The grechen20 coupon code can be used the Rockie in Mercury and the Black Rocco with rosegold studs. (9/18/2012) Use code FALL20EA at Otte NY for 20% off everything except pre-orders and Gift Cards. The code is valid until 9/23. Currently they have a black rocco with rose gold and two rockies. (9/10/2012) I don’t know for sure if there WILL or WILL NOT be any rocco bags on sale at The Outnet, but it’s worth a look-see tomorrow anyway, no? The Sale starts at 11 EST and you need to have an account for access. (8/31/2012) Use code PREFALLAUG12 for $50 off orders over $500 and $100 off orders over $1000 at Alexander Wang through 9/4. One-time use per customer. (8/9/2012) Azalea SF has the Rockie in black and the Rocco in Cayenne in stock – use code “grechen20” for 20% off!!! (6/20/2012) I forgot to ask…what do you guys think of the new “mini” rocco – the Rockie? too small? just right?? (5/29/2012) Saks has the Citrus and Granite Roccos on sale for $612. Also, the black and granite versions of the smooth leather rocco with resin studs is on sale at Saks for $539. 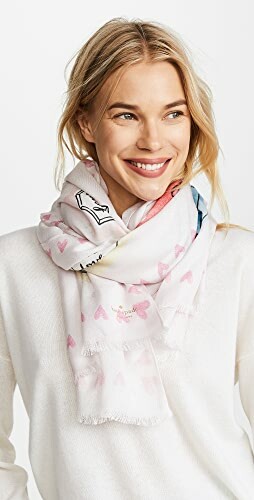 This is higher than what I pre-saled it for at Barney’s Co-Op, but if you don’t want to take the chance that you’ll miss it at co-op, get it via Shopbop now. FYI, this bag is MUCH lighter than the “original” rocco, which is why I like it better. You don’t get the textured leather, but it’s so much easier to carry IMO. Also, stalk FORWARD by Elyse Walker’s Alexander Wang page for sale items – I don’t know when, but I’m sure their Roccos will go on sale at some point. (5/28/2012) ssense has the yellow rocco bag on sale for $700, as well as ssense quite a few other Alexander Wang bags on sale, starting today. (5/23/2012) the Barney’s Sale starts next week, the 30th. Bookmark the Alexander Wang handbags page and check EARLY to get your Rocco on sale!! **edited – I’m pretty sure that all the roccos except the one with the brass studs are being marked down 40% off – I pre-saled the neoprene one with the resin studs for $459 and all the other roccos at my co-op are already gone, so warm up your mouse and don’t miss out on Wednesday!!! (5/23/2012) take a peek at the new Marketplace for gently used Alexander Wang (I’m selling my Donna bag) and post yours for sale! 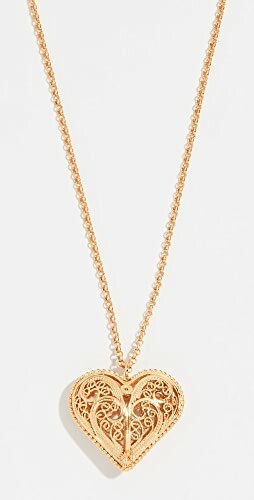 (5/21/2012) Shopbop’s having their BIGEVENT sale – spend $1000 and take $250 off with the code BIGEVENT through Wednesday, 5/23. This IS valid on Alexander Wang Rocco bags!!! (5/13/2012) Azalea SF just got in a few new Alexander Wang bags, including the Rocco with brass studs. Use code GRECHEN20 for 20% off!!! (4/25/2012) Hampden Clothing is offering a deal via Refinery29 Reserve: spend $200 get $400 or spend $400 and get $800 at Hampden Clothing – they have two Roccos in stock and a few other Alexander Wang bags. HURRY and get to Refinery29 Reserve to get this deal and then checkout at Hampden. The Roccos will go FAST!! (3/9/2012) Azalea has just got in some new Spring Alexander Wang Roccos – the black with black studs, black with rosegold studs and petrol with brass studs. You CANNOT use the new GRECHEN20 coupon code on those bags, but they will be getting in new stock of the classic black/brass studs version that you CAN use the code on. I’ll post back here as soon as they’re available. In the meantime, if you’re looking for one with rosegold studs, get it now before it sells out again!! (2/10/2012) Alexander Wang has released the new Spring colors, and has several different style/combinations of the Black Rocco in stock (including with rosegold studs). (2/6/2012) Shopbop has a black Rocco with rose gold studs in stock. (1/27/2012) Shopbop has the Black with brass studs Rocco back in stock. Not on sale though, sorry! (12/28) Azalea SF is offering 30% off through 12/31 with code 2012 – they still have a Rocco with brass studs in stock. (12/18) Azalea SF has the Alexander Wang Rocco – black with rosegold studs – in stock for 30% off through 12/21 with code HOHOHO. (12/8) It’s not on sale, but it’s the first time I’ve seen the black Rocco with rose gold studs pop-up online in a while…At FORWARD. 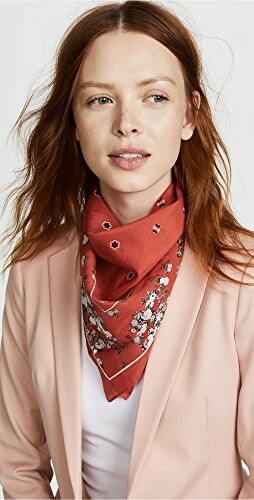 (11/30) Barney’s Co-Op has a few colors of the Rocco on sale…Spice (below), Navy, Cream…some are showing “not available” but check back, sometimes they are just in someone’s cart. (11/17/2011) Use code NOVEMBER20 for 20% off at Azalea through 11/23. They have the black/gold studs Alexander Wang Rocco bag in stock. (11/7/2011) Hampden Clothing is offer 20% off order with code hampdenfam through 11/13; they have three styles of the Rocco bag in stock: Black pony, Espresso, and Midnight. (10/21/2011) Metier SF has just launched their e-commerce site and is offering 20% off off for 24 hours ONLY on Saturday, October 22, 2011. Use code BIRTHDAY20. They have two Alexander Wang Roccos in stock. 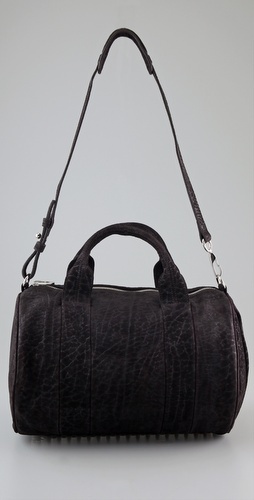 (10/3/2011) Hampden Clothing is offering 15% off all their Rocco bags through 10/17 with code rocco15 – right now, they have five colors: Espresso, Espresso suede, Bone, Midnight & Black pony hair. 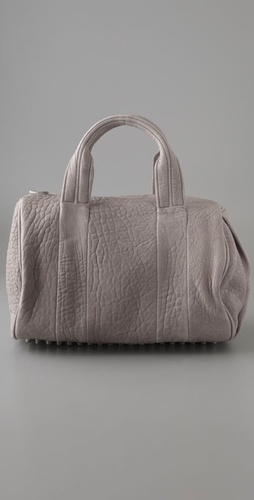 (9/21/2011) Azalea has the Rocco duffel in melange with rhodium hardware and you can save 10% with code GRECHEN10!!! (4/25/2011) Barney’s Co-Op has a black Rocco duffel with silver studs marked down to $349 – it DOES say right now that it’s out of stock, but I’ve stalked items there before that say they’re out of stock, but still allow me to add them to my cart and check out…it’s worth a try for that price! (4/14) Saks has the black/rosegold in stock…. (3/3) Satine has one Oasis/rosegold for sale now (use code “grechens10” for 10% off) and a black/rosegold rocco for pre-order. (3/3) Alexander Wang has three colors: Oasis, Latte & Black available and they’re offering free shipping on all orders right now! (12/30) **it’s gone!! ** I am selling my “original” Coco/Rocco duffel bag, black with brass studs, in GREAT condition (normal wear & tear – only one or two places on the piping where you can see a little wear) for $500. My bag does NOT have a shoulder strap, it was the “first generation” bag, the classic coco, if you will 🙂 Please contact me if you’re interested in making an offer. ONLY serious offers only please. I prefer to ship in the US. (12/8) Satine just received a new order of Alexander Wang bags including a “Smoke” Rocco – use code “grechens15” for 15% off. (11/17) Shopbop has the black patent leather Rocco in stock. I LOVE!!!!! (11/15) The Outnet is having an Alexander Wang sale starting 11/16 – see the video preview and sign up for their newsletter to be notified when the sale starts via this link. (10/6) The only places I know that have the Rocco duffel with a discount right now are Madison Los Angeles & Diavolina. On both sites, use code GRECHEN for 10% off. (7/31) Blue Bee online is offering 25% off with code GIFT25 (not sure when it expires) and it’s valid on Alexander Wang handbags. (6/8) Use code CFDA10 for 10% off Alexander Wang bags at Opening Ceremony. *This promotion cannot be redeemed in any stores and is only available online at www.openingceremony.us. It is non-transferable, and is not valid on orders placed before June 8, 2010. This offer may not be combined with any other promos or discounts. Offer only applies to the following brands: Patrik Ervell, Proenza Schouler, and Alexander Wang. Excludes T by Alexander Wang and the Proenza Schouler PS 1 Bag. (6/3) use code satine15 at Satine Boutique for 15% off pre-Fall Alexander Wang Bags – including Diegos, Donna Hobos, Brenda Mini camera bags and Roccos. valid TODAY ONLY!!!!!! (6/2) Oak NYC is offering 20% off today ONLY with code NEWFACE and it DOES WORK on Alexander Wang bags. (5/26) Saks has the Rocco in luggage with the strap – isn’t it beautiful? (5/25) Satine has 7 of the black/brass Alexander Wang Rocco bags with messenger strap in stock NOW. You MUST call Naomi to order: (323) 655-0426 and use the “grechens10” coupon code for 10% off!!!!! (5/12) all Alexander Wang is 20% off at Opening Ceremony with code MAY20 through Friday, 5/14. They still have LOTS of Rocco duffels, in luggage, grey, black….hurry though, this was JUST now posted, but I can guarantee the Roccos will be gone in a flash!!! (5/11) Satine has 10 more of the black/brass Rocco Duffels with the messenger strap to pre-sell and she should get them in toward the end of this month!!!! Use code “grechens10” for an extra 10% off your order. ALL SALES ARE FINAL!!! Also, Barney’s Co-Op here in Austin, TX (although probably all over the country) will be getting the new black/brass studs Rocco duffel with the longer messenger strap in sometime in May. My SA, Sari, is going to call me when she knows the date, and ya’ll (just trying to be Texan LOL – even though I’m new ;)) can call her and order directly if you want. (4/29) La Garconne has the black/brass studs mini rocco in stock. 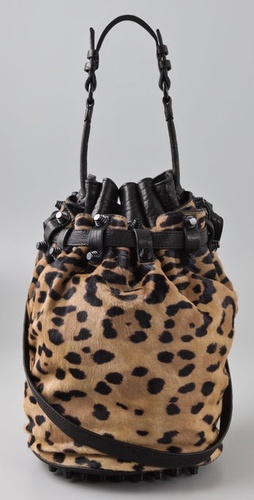 (4/21) Satine Boutique is starting to pre-sell the new Darcy hobo (seen here – as in “my new Fall bag!!!! !”) for June-July 2010 delivery. 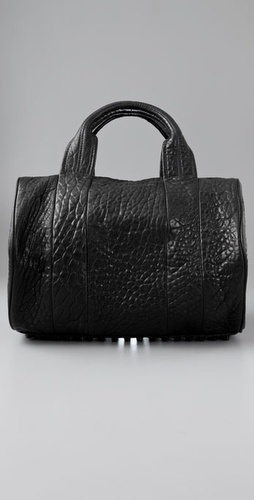 (4/14) So, this isn’t the Rocco, but it is still an Alexander Wang bag, and one of my favorites, the Diego Bucket. 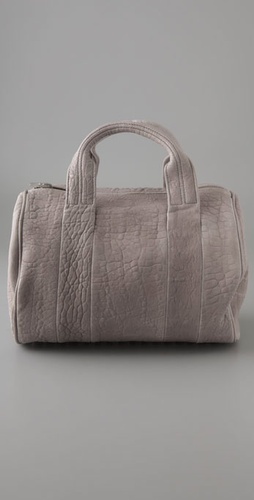 Shopbop just got the grey Diego Bucket bag in stock. Isn’t it pretty?? (4/13) Everything at Satine is 30% off with code “tax30” through 4/15. They have one more black with black studs Rocco mini duffel and a Luggage Donna hobo in stock!! 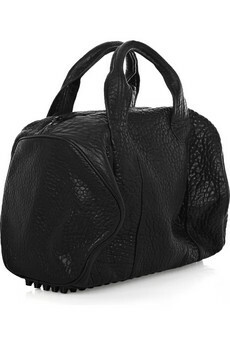 Also, Alexander Wang has the “classic” black with brass studs Rocco duffel back in stock RIGHT NOW!! – this one DOES not have the extra messenger strap. (4/8) Naomi from Satine just let me know that she has about 20 black w/brass studs AND SHOULDER STRAP (yay!!) for pre-sale right now!! Use code “grechens10” for 10% off…. But Satine STILL has the gray baby duffel (the smaller size) as the daily deal – use code “grechens10” for an extra 10% off!!! It would be less than $600…. Hampden Clothing is pre-ordering the black/brass studs Rocco mini duffel WITH STRAP for June delivery. (3/25) Satine has marked down the camel suede rocco duffel to $680 and you can use code “grechens10” for an additional 10% off that – which takes it down to $612!!! (3/16) Jeremiah from Aloha Rag sent me a note to let me know that they just received some new bags – they’re not all up on the site yet, but here’s a preview (including the Alexander Wang quilted rocco in luggage) and you call to order. 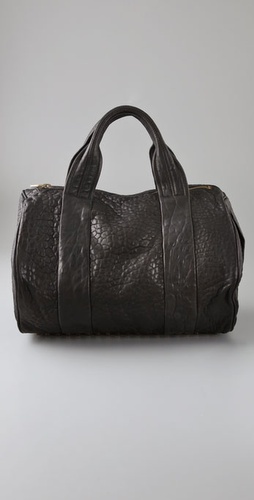 They also have a black/black studs baby rocco duffel in stock. hmmm…this might just be growing on me. (3/13) Satine Boutique has both the Black/Black studs mini duffel and baby duffel as the “daily deal” this weekend, and you can use code “grechens10” for an extra 10% off BOTH. I believe all sales are final, but if you KNOW that you want either one of these, get it now, it’s the best deal you’ll find. I don’t like it. do you? (3/5) Jumelle has a few of the luggage – I guess that’s the same as the orange one I mentioned below…it looks orange to me! – in the store. Call 718 388-9525 to order. The bag is $875. (3/2) Opening Ceremony has a quilted ORANGE Alexander Wang rocco Duffel with silver studs…I’m not sure of the quilting, that pattern doesn’t really do it for me (I love the regular rocco leather). but THE COLOR!!!!!! Love it. 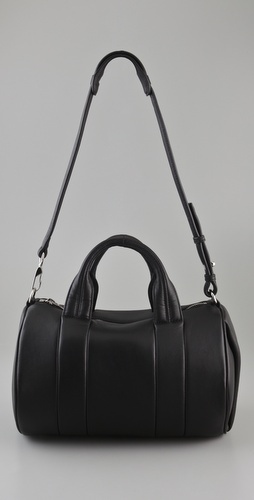 (2/14) Oak NYC has the Black w/black studs Alexander Wang Rocco in stock, but for $950!!! Whoa. Most places have this for $875, shop around before you buy!! (1/27) Barney’s Co-Op has the Black/brass and the Black/black Rocco mini duffels in stock. (1/27) Shopbop now has the baby & the mini Rocco Duffels in Black/black studs! (1/25) The Black/black studs Rocco duffel is available now at Opening Ceremony – who also has the “baby” duffel in stock for $695. It doesn’t give measurements but it looks a few inches smaller than the Rocco – too small IMO. (12/28) I’ve heard that Satine is allowing you to use the Satine20 code for an extra 20% off pre-orders of the new Rocco Duffels for Feb/March 2010 delivery. (12/15) Satine has “a ton” (according to Naomi LOL) of Black w/black studs Rocco’s to pre-sell for 1/15 – 2/15/2010 delivery. Call (323) 655-0426 to order. 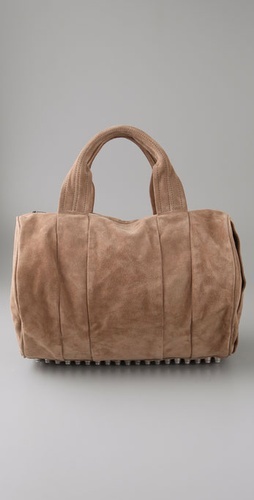 She also has a camel suede w/silver studs rocco in stock to sell right now. Here’s a link to pre-order the grey suede w/silver studs Rocco, and the link to pre-order the black on black rocco. (12/6) the black/brass coco duffel is in stock at Barney’s Co-Op RIGHT NOW!! (11/30) Satine Boutique has a black w/brass studs coco duffel in store – you have to call to order it ((323) 655-0426)- and will honor the grechens15 coupon code for an extra 14% discount. 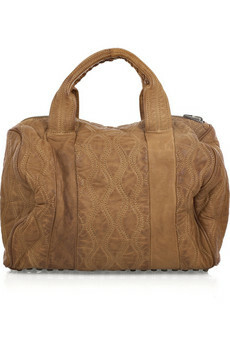 They also have 2 camel suede roccos in stock, as well as 2 donna hobos and 1 brenda chain bag. Today is the last day to get the discount with grechens15 so WHAT ARE YOU WAITING FOR?? 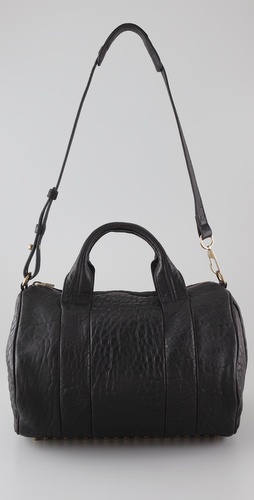 (11/12) hmmm…Shopbop has the black/brass studs coco duffel back in stock – they’re “hiding” it in the editor’s picks! Ladies, the coco seems to be popping up here and there…be sure to scroll down to my list of other boutiques that have sold the coco below if you’re not able to get it from Shopbop or Net-a-Porter. 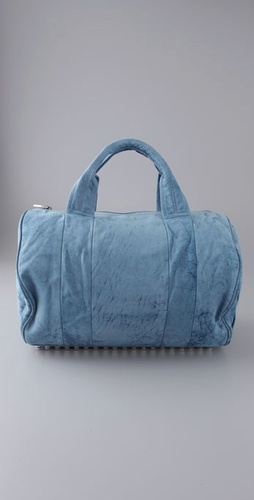 (11/9) Blue & Cream just added Rocco bags to their site – looks like only the camel suede is left. (11/9) Thanks to a reader who informed me that the black, camel and grey rocco duffels (with the silver studs) are in stock at Madison Los Angeles…for now anyway! how beautiful is this navy suede??? (10/24) Mick Margo is taking pre orders for the new Black coco with black studs and the grey coco with silver studs. (10/20) A reader let me know recently that she was able to pre-order the Coco Duffel from Pumpz & Company for November delivery – and they had a choice of silver or brass studs on the bottom…I’d definitely go for brass, it’s much more classy IMO. (10/8) My coco duffel has arrived!!! I’ve been so busy, I haven’t had time to even take her out yet, but I will, and will post pictures ASAP. 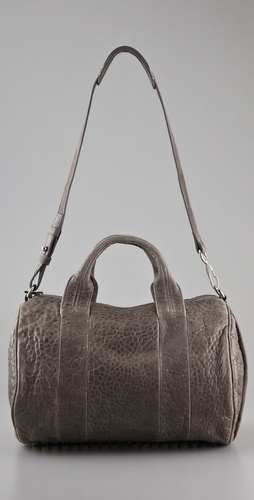 But Satine now also has 5 of the new gray coco duffels on pre-order, also for $850 for mid November delivery. Isn’t this color lovely?? (10/2) This isn’t really a major update, except to say that mine will arrive sometime next week from Satine!! I couldn’t be more excited. I believe you can still call and order the coco duffel from most of the places mentioned below – but it’s getting very close to being gone for good. Although if you wait, you might be able to snag one of the new transparent ones 🙂 oh, and please please please please please DO NOT BUY ON EBAY unless you know the seller to be reputable. there are SO MANY FAKES out there selling for hundreds of dollars. And needless to say: DO NOT BUY A FAKE. seriously. (8/26) Marty from Blue Bee left me a note on the other Alexander Wang post: “We have a couple coming to www.bluebee.com and at Blue Bee in Santa Barbara. You could call the store and pre-order it at 805-882-2468. We have a bunch of Alexander Wang bags and clothing coming in any day and also have some in stock.” I’m not sure this is specifically for the Coco Duffel, but it’s worth a try – if you end up getting one, leave a comment!! (8/18) well, it looks like it’s totally gone again…it’s still available for pre-order at Satine, but that’s all I’m aware of right now. If anyone knows anything different, please leave a comment!! (7/30) Aloha Rag has the coco duffel in stock now, and it was back in stock at Shopbop for a while today…and then it sold out again. You have to be quick!! (7/22) Forward by Revolve has the Coco Duffel in stock. It’s sold out at Shopbop, but may return…. It’s available at ZOE RIGHT NOW! Also check Opening Ceremony frequently, as they have some of the Fall 09 collection up now, and might get the Coco in soon. jake has pre-sold it in the past, and there’s information floating around that Net-a-Porter might carry it. Diavolina got an order in, don’t know if it’s going up online, or if you’ll have to call the store to get it. Tagged With: alexander wang coco dufffel, buy coco duffel online, where to buy Filed Under: Featured Articles, Look What I Found! hey hey…got the coco duffel last night on shop bop…the black one that is….but it says they are now out of stock!! How are you managing to wait until mid august?? It must be hard to wait…..
love love love my coco! I TRIED logging onto the AW site…said incorrect password. Got my bag today…,loving it…except. I want to find a really crazy wallet to go with it. I am looking toward something like the Fendi Neon buckle Wallet, cant find it online though. Any suggestions? OOPS!!! the code is AWSTYLE.COM. my bad…yay for getting your bag!! i’m so excited to get mine, just trying to be patient. Ok, so I’m on the wait list for Barneys’ 2nd shipment…I can’t wait. Has anyone else found the bag after August 5???!!! Did you ever get your Coco? Are we getting to get to see your review of it? no, i haven’t received it yet 🙁 are you kidding?? the second i get it, i’ll post pictures!!! i pre-ordered from satine for mid-august delivery, but they haven’t received them from alexander wang yet…. any new updates on maybe the rose gold ones?? with the pre-order at satine . . . do you have any idea when it would come in?? just a rough estimate will do . . .
On the website it generally has an estimate of when the bag will ship. It’s generally a month-long window. You should also call the boutique. The customer service is always great. I’ve purchased a Rocco from this boutique and it was a seamless transaction. LOL ok. I hope it comes in soon! I am curious to see what you will think about it! Blue and Cream may have some available- I would call the store to check. does anyone want an Alexander Wang Coco Duffel??? I ordered one off the Alexander Wang website but had preordered one from Opening Ceremony a few months ago, and OC sent me the bag without notifying me of the transaction!!!! I am very very annoyed about this as I now have two of the same bag!!! So if anyone would like to take this gorgeous bag off my hands, please please email me at [email protected]. Thanks!!! ps. needless to say it is 10000000000000000% authentic – will provide pictures etc. on request. hi amelia – i haven’t heard of anyone still taking pre-orders for the black, but maybe try mick margo – either call and ask for nadine, or send an e-mail. they did pop up on alexander wang’s site for a few hours a couple of weeks ago, it’s definitely worth checking there frequently, also net-a-porter. maybe try jumelle also? did you contact the girl who left the comment above about hers? it may still be available…just stay away from ebay – there are SO MANY FAKES. i really hope you find one!!! does anyone have a picture of the black coco with black studs? seems like the black & grey are both sold out now!! Just put up ALL NEW WANG BAGS AND CLOTHES!!!!!!!!!!!!! Since I’m new w/ A. Wang’s bags, I found your website from Google. I contacted those stores on your list… Guess what!!! I got both of my black coco w/ silver and brass in only one week. Lucky me! I thought it’s hard to come by the black w/ gold one, but she is on her way to me now. I’m so happy. i hope you love them as much as i love my coco!! got my bag already & its gorgeous! love it! sold out as of 11/14 on netaporter. What is the difference between the Rocco and Coco? – other then the studs being different colors .. is the Rocco a bit smaller??? they’re the same size – or at least only an 1″ difference in height i think. so the only difference is the brass studs – i think the coco will always just be the black/brass studs and the rocco will be different colors with silver studs. Thanks for getting back to me!!!! – But Shopbop calls the gray/silver studs a Coco too – this is where all my confusion comes from – i don’t know if sites are using the name interchangably or if a true difference .. THANK U tho!!! .. i’ll get to the bottom of this and share! yeah, i know…shopbop has it wrong i think. alexanderwang.com has all the bags with nickel (silver) hardware labeled “rocco” & i’m thinking they’re the authority 🙂 it is confusing, but it seems to me they’re trying to differentiate the original coco from the newer versions. definitely report back what you find out, i’m definitely interested!! 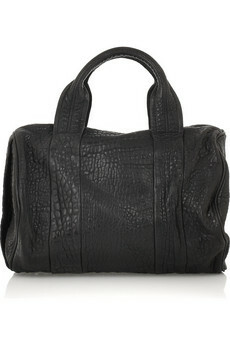 I just found this blog by happenstance and got the code for the Mini Rocco Duffel (black/black) on Satine for 30% off! Thank you, thank you, thank you! I have been salivating over this bag for a while now and I finally got it! At 30% off! yay!! i’m so happy for you 🙂 you will love your new bag. I wanted to thank you for this blog post! I’ve been checking it for the past weeks during my search for the perfect Rocco. I was going to settle for the black with black studs, but then it sold out on Shopbop. 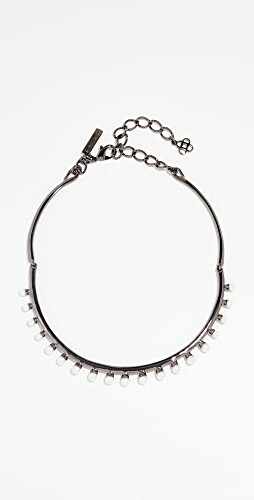 I checked this page again today and saw your post about Shopbop’s new shipping of black with brass studs. I rushed to the website and ordered one! 🙂 I’m so happy! As I live in Europe, this bag was hard to find at a decent price (NAP charges way more in Europe than in the US and MyTheresa is trying to sell the Baby as the Mini, so the price was crazy! I also prefered the brass studs, but that one is unavailable in Europe; they should receive the new ones for fall, but they will cost around 1150 USD). Can’t wait for it to arrive, should be here on May 3rd. Thanks again for your great research!! Grechen, just to let you know Barneys has black/bass combo rocco in stock! .-= DESIGNERBLACKBOOK´s last blog ..AUDRINA PATRIDGE IN AMANDA UPRICHARD SILK DRESS =-. Hi Grechen, thanks for your blog, super useful! Wondering if you know of any discount codes? There are a few sites now that are have the rocco black with brass studs in stock but a discount would sure help! 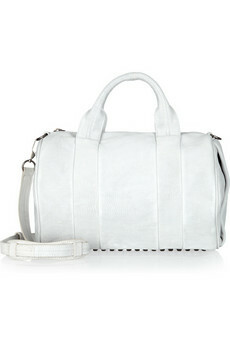 Saks now has the rocco duffle with strap online in 3 colors! I love the Brenda Mini Camera Bag. It’s a perfect cross-over body style. I know you probably would have posted about this if you knew, but I’m really interested in the Smoke version that’s available at Shopbop – but I cannot for the life of me imagine what “laser cut velvet leather” is like. Is it like suede? Any help would be so appreciated! i LOVE the two outside zippered pockets on the rocco!! it really makes the bag more practical imo, although it wouldn’t seem like it. i’m glad you like your forest rocco – i really did like the color IRL, but wanted it to be a bit brighter. and yes, you definitely get used to how heavy it is; i don’t even notice anymore! i just bought the Rocco bag (black leather, black studs) for a GREAT price on sale at Barneys, and I received it and i didnt realize how heavy it was! does this weight effect you at all? is it tiring to wear it? i also read somewhere that it wont make it through airport security cause of all the hardware, do you know if this is true at all? i don’t know about airport security, seems like they might have to look at it more closely, but how could it not make it through?? Wow, it never occurred to me that the Rocco might not make it through airport security–on the other hand, if you just show the bottom of the bag to the screeners, I would think they would be ok with it. It IS heavy. But I’ve gotten accustomed to it after about a month of owning it and don’t really notice it. Also, I have the Rocco with the strap so you can sling it on your shoulder and that seems to help with the weight. But I wont be getting a wardrobe of these bags. One or two heavy bags is enough. I think Wang needs to stop with the studs. any updates on this thread? i know its old but is it still available anywhere onsale? gf still wants this and I want to get it for her. thanks! hello , is any shopping expert can help me to find the trust website to buy a balenciaga bag with the best price and 100%real bag??? i saw the http://www.handbag bliss.com , the price is cheaper and i don’t know are those real or fake ? ?little bit worry with those cheap price??? please help me anyone. thank you.. I would trust NONE of the sites selling cheaper Balenciaga bags. I do not believe any of them are real. I would only buy Balenciaga off the Barneys New York website. 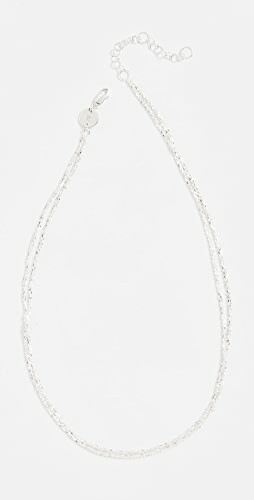 (barneys.com) And unfortunately most of them don’t go on sale. Although Barneys will occasionally have some styles on sale. i saw bluefly had some on sale (20%off), but , alwasy sold out. i think those were real. thank you . they always update the new stuff at 6:31am , it is very difficult to get one on sale and no color choice. how are the alexdender wang rocco bag group girls going now? do you still like the bag now? how is the bag now?? I have a forest green Rocco with the shoulder strap. I was just carrying it around today. I do still like it, and I get compliments on it. It’s heavier than my other bags because of the studs. But I’m happy to have it. I will say it’s a good size–roomy but not so big that things get lost in it. And it has two little outside side pockets that I use for my iPod Nano. You could use it for keys too. I also have the mustard Alexander Wang Darcy hobo. I think it’s beautiful. (It has studs at the bottom, too.) I got it probably a month ago and haven’t taken it out for a spin because it was either raining a lot where I live or I didnt have time to transfer things into it. But it’s dry now, and I’m looking forward to using it this week. I really love the shape of the Darcys and I see they now have them in patent leathers. If I were buying another Wang bag (and I feel like I have enough now) I would get a patent leather Darcy. HI,Carla , i think you enough already. there are a lots of brand to select, why always alexdender wang , you enough honey. lol. we have same froest green rocco wang. yeh, i ordered it from hamdpen clothing (which grenchen posted) . the color little bit lighter than before. i seldom carry it . because it is little heavier. but i still like it. i don’t like the patent leather ,it looks like plastic. (sorry) .Today , i went to channel store in soho,wow, the bag 2.55 is beautiful, but the price is so expensive. i rather buy the balenciaga.what do you think ??? Hi, Amy. I have no Chanel. It’s so expensive–like you said–and rarely do I see anything I love. But I am impressed that the 2.55 never goes out of style. So if you were going to splurge, I guess that would be a good choice. On the other hand, I love Balenciaga and think all their motorcycle bags are a kind of classic. I got my first one in 2005 and I still carry it a lot, still love it. you already got balenciaga ? oh ,girl ,you good. i am still hunting for a nice bag. right now , i like CELINE bag , LOL, save money ,just eye-window shopping. smarter right ??? i am desperate for this bag…can someone please help? id really appreciate it…i dont live in the states so its kinda hard…SOS!!! Try the Mick Margo online site. 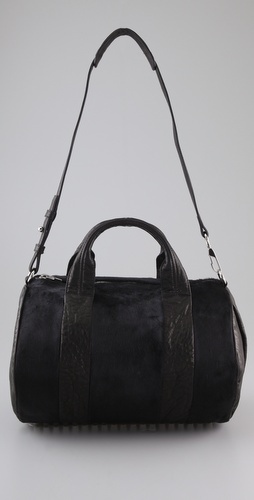 I just saw a Rocco in black: http://www.mickmargo.com/index.php/rocco-duffle.html. any updates on this bag??? May I know where can I buy the Rocco Leather Satchel in Tanned leather colour? It seems to be unavailable everywhere! I am only in love with the tanned leather. Your blog is very helpful. Thank you so much. But I want to remind you that the Hampden promo code is a typo. It should ne hampdenfam instead of hampdenfan. I couldn’t get 20% off via your coupon code so I read their website again and found out should be hampdenfam. Shop Workout Leggings, Sweater Cardigans, Printed Pants, Gold And Silver Jewelry and more. Get this widget.